with a small hot spark. 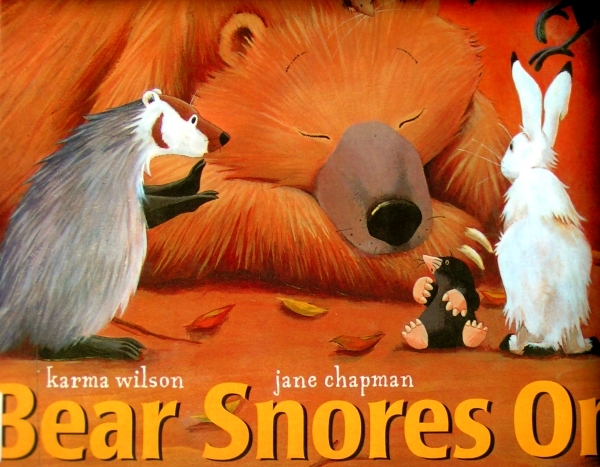 Karma Wilson, Bear Snores On (New York: Margaret K. McElderry Books, 2002). 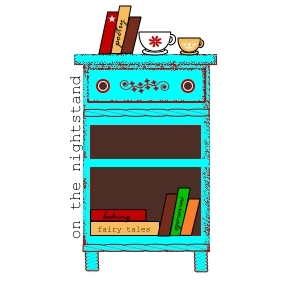 Drop in unannounced between breakfast and lunch, and at some point you’ll likely find us back in bed, nestled between two pillows and a pile of beloved books. We have a lot of favorites – old and new – that we’d like to share. 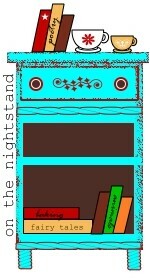 You can see what else we’re reading by clicking the nightstand in the sidebar. Feel free to add your own favorites to the list we’ve started there. p.s. If anyone knows how to get blueberry juice out from under a two-year-old’s fingernails that doesn’t involve an old toothbrush and a lot of drama, I’m all ears. As you can see, I let it slide yesterday.